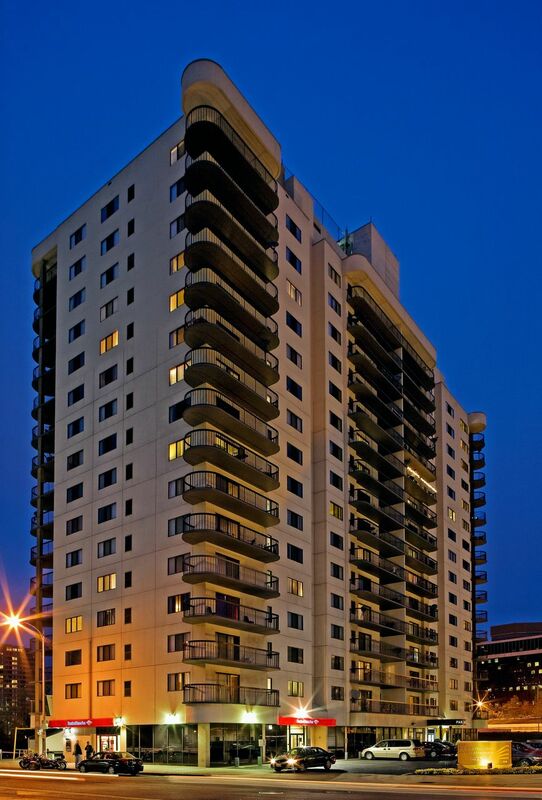 Our housing is in a prime location: the Crystal City neighborhood of Arlington, Virginia. The Crystal City Metrorail (subway) station is just a five-minute walk from the housing. Depending on the location of your internship site, your commute may be as short as 15 minutes. Our housing provides all the comforts of your residence hall on campus--a sense of community and a convenient location--but with the independence of a spacious, furnished apartment. Each semester, the Washington Internship Institute puts together a diverse mix of talented and driven students to share experiences and advice to the betterment of everyone. You’ll meet your peers from across the country and around the world. Sharing an apartment provides an instant “network,” helps you get to know your classmates, and often creates lasting friendships. The apartment building also offers a modest exercise room and a roof-top terrace with a grill. A limited number of parking spaces are available in the garage for an additional fee. The Washington Internship Institute offers housing on a space-available basis to students who seek accommodations. Please fill out the form below for more information and to check availability. Please include in your message the dates for which you require housing. Please note that housing information is subject to change.